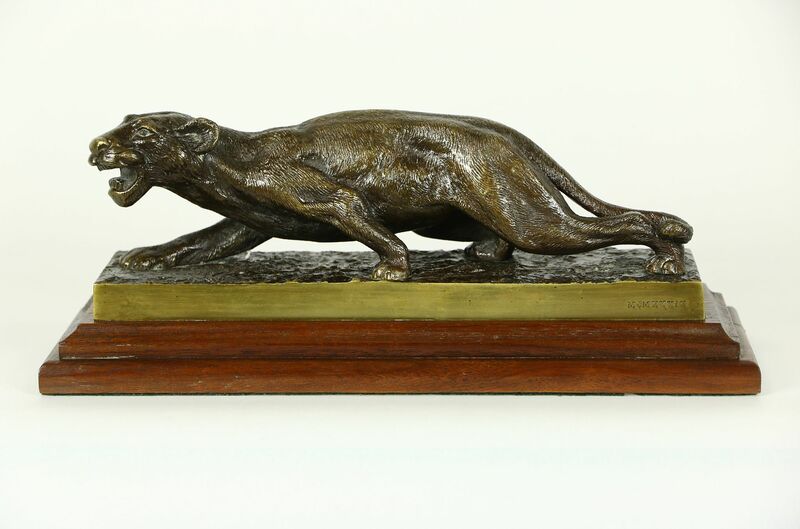 A patinated sculpture of a jaguar has a mahogany base, and is engraved "MCMXXXIX" or 1939. There is no other signature we can find on this richly detailed and very heavy statue. Size is 11" long, 4" wide and 4 1/2" tall. USPS Shipping is $25 in the US.